This is not the first time investigators have used technology to discredit a suspect’s story. Fitness trackers like the Fitbit have become popular in recent years. People use them to monitor their heart rate, keep track of how many steps they take, and help them get more restful sleep. 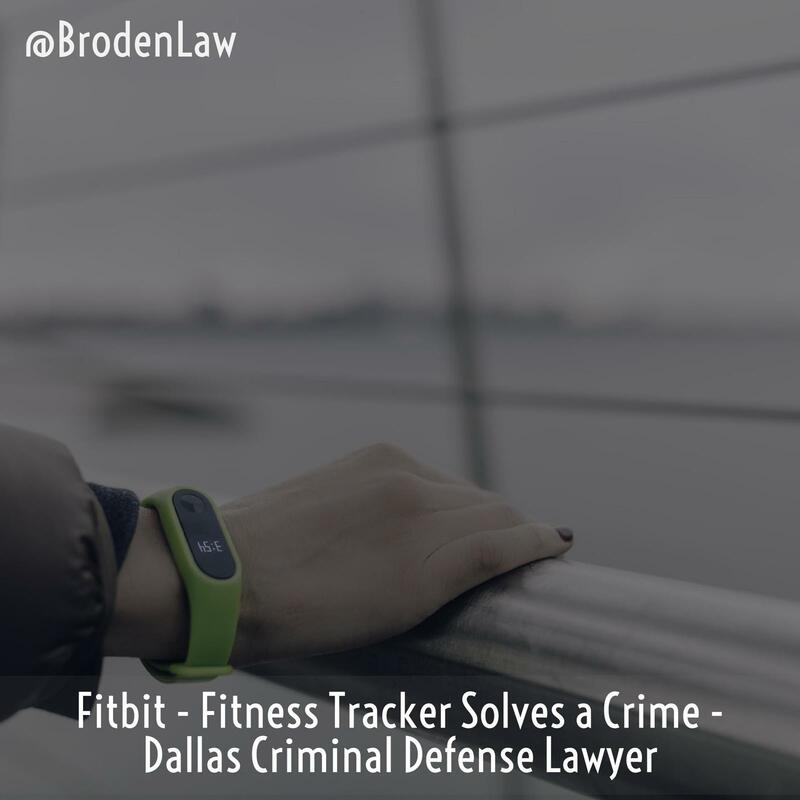 Recently, a woman’s Fitbit may have helped the police bring her killer to justice. According to a CNN report, the woman’s husband called 911 in December 2015, claiming that an intruder had tied him up and tortured him, then shot his wife when she returned home from a yoga class. However, when investigators analyzed her Fitbit, the husband’s story didn’t match up with the device’s data. One of the Fitbit’s main features is its pedometer, which tracks how many steps a person takes in a 24-hour period. Fitbit users can set daily step count goals to ensure they are getting enough exercise during the day. The husband claimed that he left for work but had to return home to retrieve his forgotten laptop. He told police that he heard noises upstairs and knew it couldn’t be his wife, as she’d left the house for a yoga class. He claimed he investigated the sound and found an intruder. The intruder allegedly tied him up. Minutes later, the husband said his wife came home, and the intruder shot her. She died from her injuries. However, police analyzed the Fitbit device the wife was wearing. Based on where her body was when she died, police determined there were just 125 feet between the garage and the spot where she died. However, her Fitbit showed that she had walked a distance of 1,217 feet between the time she entered the house and the time she was killed. The police also used the husband’s computer activities to piece together evidence about the case. Although the husband claimed he pressed his home’s alarm in response to seeing the intruder, he sent his supervisor at work an email saying he would be late to the office due to an alarm going off. Obviously, this is an unusual and suspicious move, as most people wouldn’t stop to send an email to their boss in the middle of a home invasion — especially after their wife had just been shot. This is not the first time investigators have used technology to discredit a suspect’s story. In a separate case, a judge has given prosecutors the okay to introduce recordings from an Amazon Echo device. Prosecutors claim the Echo recorded a murder as it occurred.